A new initiative is taking root in Ottawa. Its goal: protecting and enhancing the city’s tree cover. Tree Ottawa is a citizen-created program to plant, protect and promote trees and the places where trees grow. Housed at Ecology Ottawa, the program connects people to initiatives and resources for planting and caring for trees and tree habitats. Tree Ottawa recognizes that trees are important. Trees mitigate climate change, reduce runoff and pollution, promote biodiversity, improve human health and well-being, and provide shade, recreation and food. Tree Ottawa also arises from concerns about threats to the city’s trees from extreme weather and climate change, damage from infill and development and the emerald ash borer. a Tree Ottawa Ambassador program, in which volunteers promote tree planting and Tree Ottawa. Check the Tree Ottawa website for other ways to get involved. 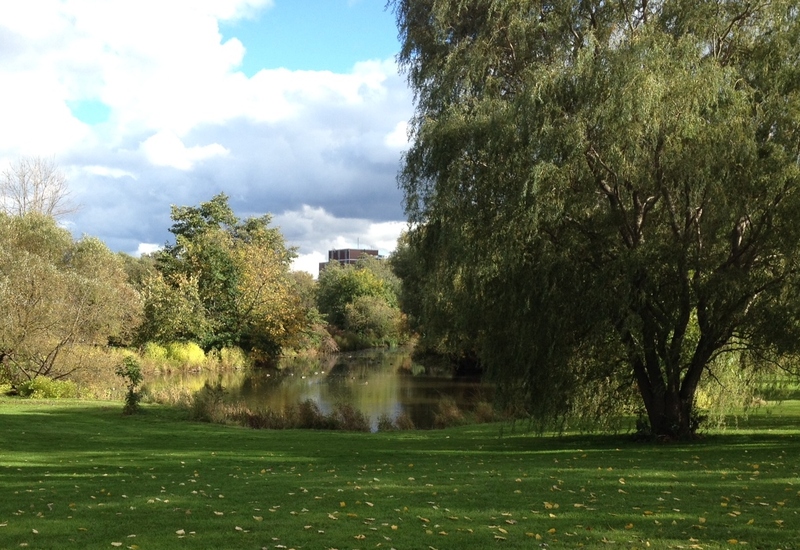 Tree Ottawa’s official launch is on Tuesday, Oct. 14, 2014 at 9:30 a.m. in Champlain Park. 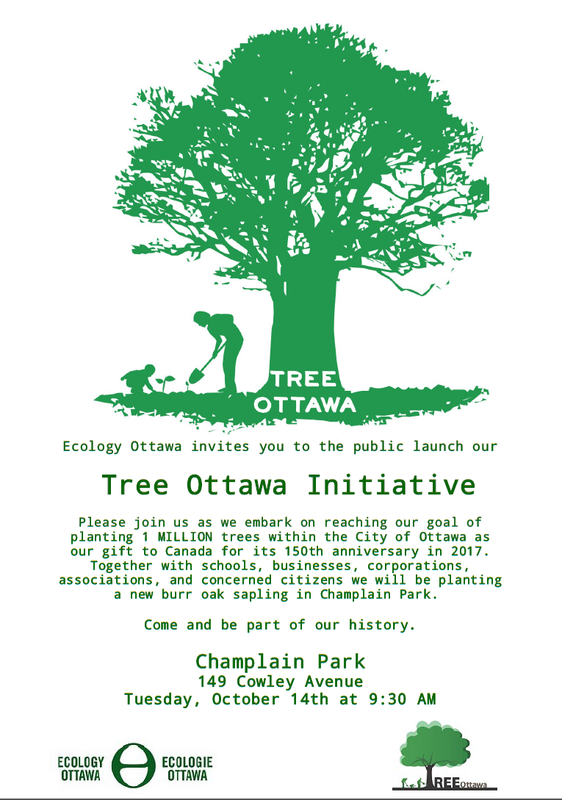 The Champlain Oaks group will plant a bur oak sapling in the park during the event.